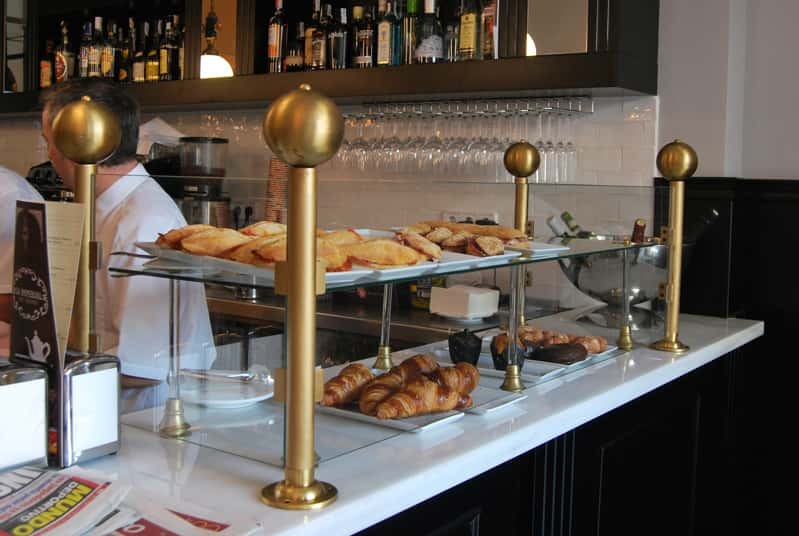 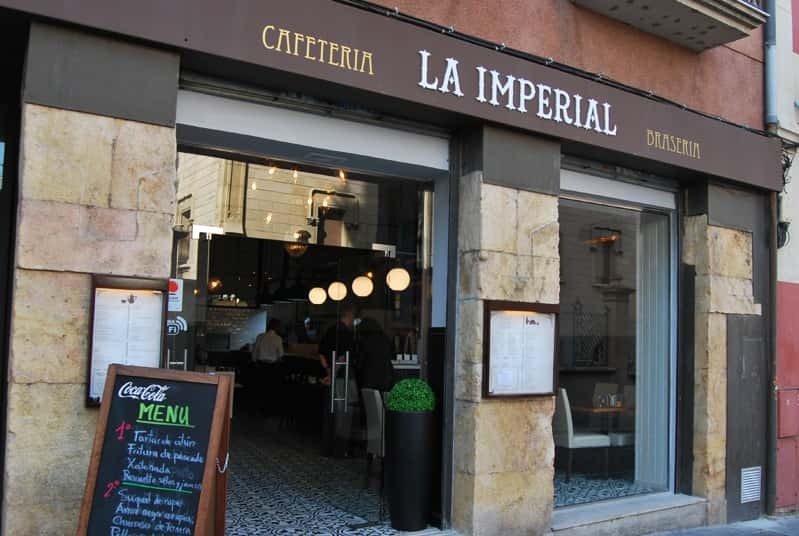 A charming place in the heart of Tarragona, next to the Font del Centenari (Rambla Nova), suitable to enjoy any meal: from breakfast or a brunch to dinner. 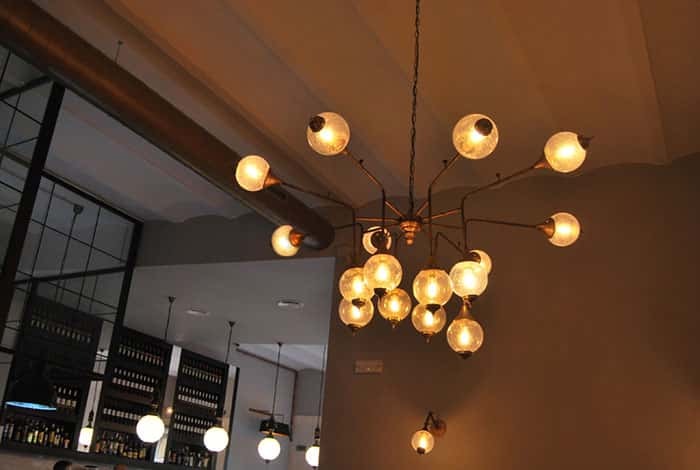 It is a simple place with a rustic charm decorated with vintage touches. 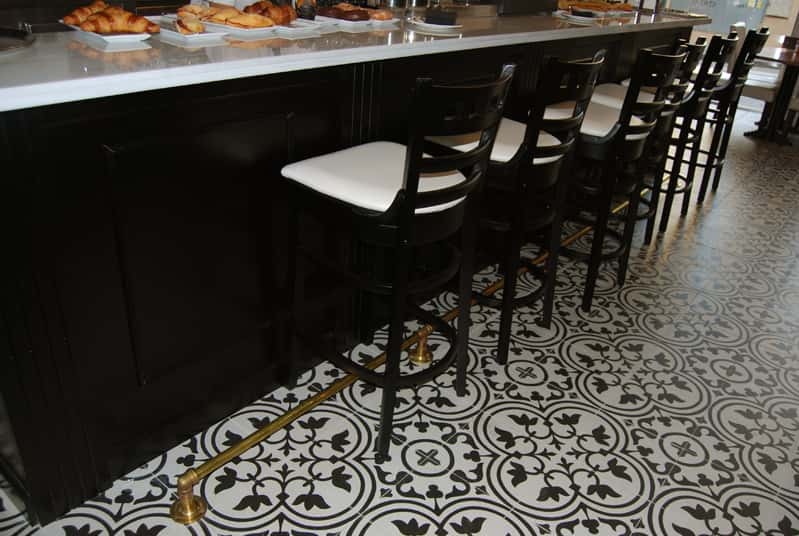 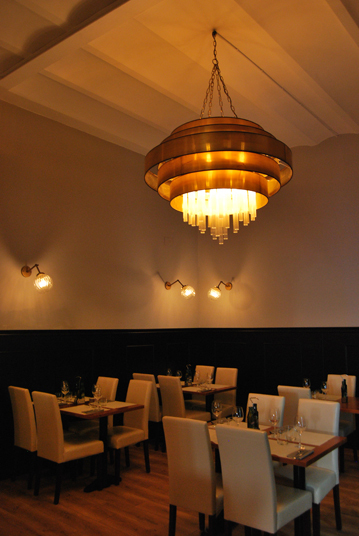 For this, we made a lighting project that combined with their style and cuisine. 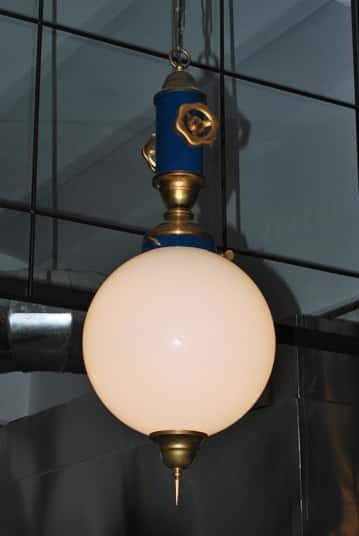 Blue is a colour that predominates in the fixtures of this restaurant: both in the body of opalised ball lamps and in industrial bells. 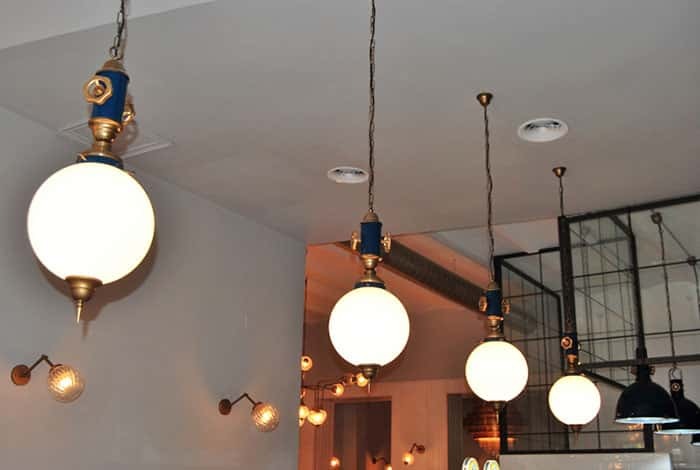 The balls are suspended by a brass finishing chain and fastened with an industrial structure with brass details. 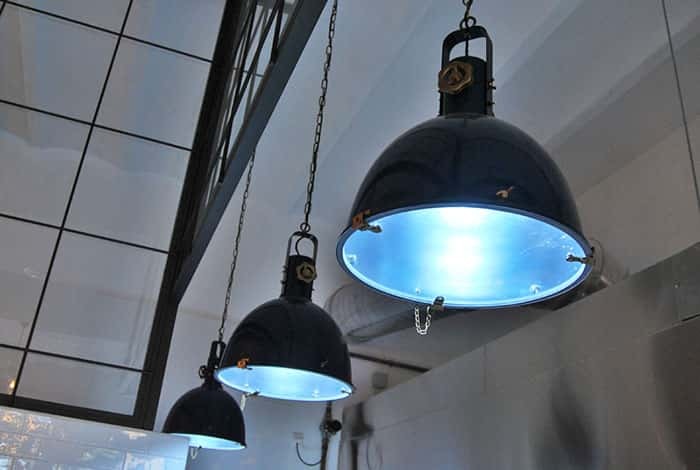 The bells, which follow balsa very similar style to the balls, give off an original but soft blue light. 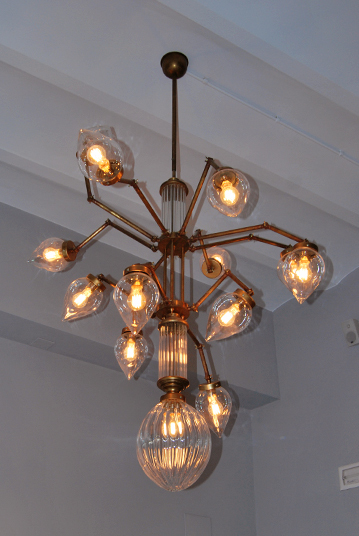 For the dining room, we made a pendant lamp with a tree structure, with tubes and a striped glass ball and smooth tulips. 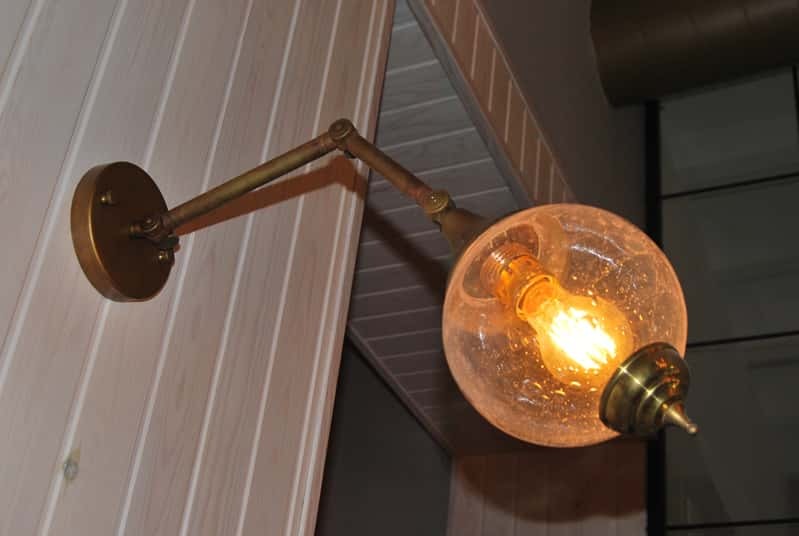 The finish of the body is an aged bronze effect. 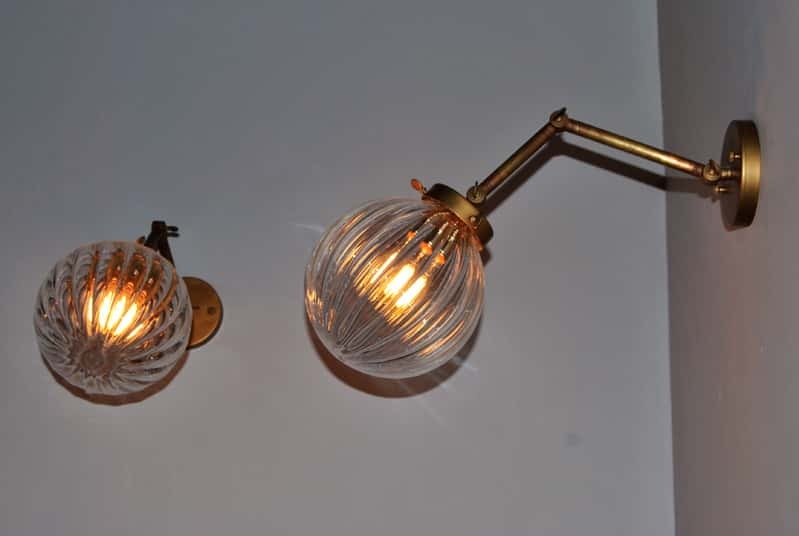 To match, we made some small appliqués of smooth and striped glass balls and a structure with the same finish. 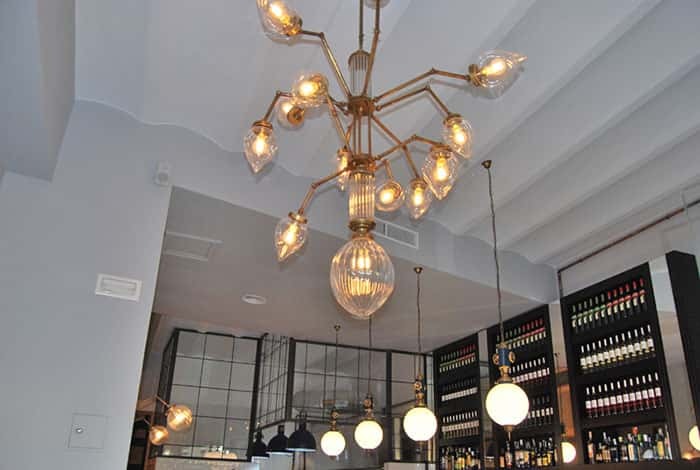 Two other pieces to mention in this project are a suspended light fitting with a chain, in the shape of a tree and amber coloured glass balls andnd a spectacular hanging lamp for the dining room: suspended with antique-inspired chains and circular blades of burnished bronze finish at different heights. 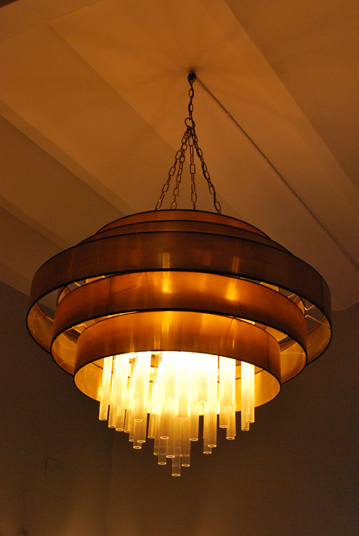 At the end, hangs luminous tubes that give off a warm light that is reflected in the brightness of the bronze. 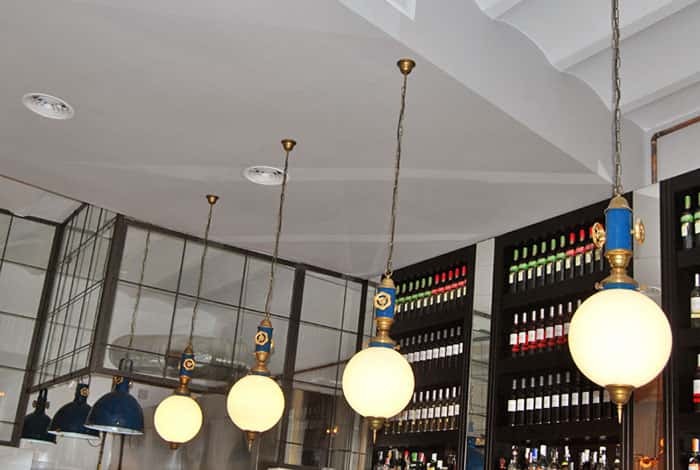 To finish and giving a vintage touch to the premises, we also manufactured two pieces of furniture to measure: a glass display cabinet on a shelf in an aged brass finish and a footrest in the same style placed under the bar.